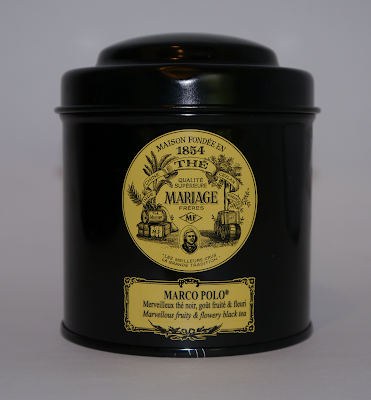 My sophisticated, European artist friend turned me onto Mariage Frères tea. Founded by four Parisian brothers whose family had a long history in the tea and spice importing businesses, Mariage Frères has been producing high quality teas for almost 160 years. The company has 4 tea salons in Paris serving tea, indulgent treats and savory dishes. But you don’t have to go to France to get this tea; Americans can purchase it in the beautiful cans and also in bulk (not in a fancy can, but at a much lower price) at Market Hall Foods and Porte Rouge. My favorites are fruity Marco Polo, rich Wedding Imperial and festive Esprit de Noel (available only around the holidays). These teas are a great way to start your day!